In 1993, during the Clinton Administration’s attempt to create viable health care reform, the Iowa Academy of Family Physicians came forward with the Principles of Health Reform, which I helped to write. Number one and the most important principle was that every Iowan should have the peace of mind that his or her family has access to affordable, comprehensive health care. Failing with broad national health reform efforts in the early 1990s, as Senator Tom Harkin would tell you, Congress and individuals throughout the country sought to make incremental improvements in the system. One of the major efforts was made in the area of children’s health care. During that time, the Healthy and Well Kids in Iowa (HAWK-I) program was conceived, developed, legislated, and passed into law. Working on that effort, I wrote an article in the Des Moines Register in which I described a child coming to school with a cut held together with rags and electrical tape because of the family’s inability to afford health care. I submit that the parents did not have peace of mind regarding his or her child’s health. As a parent and now a grandparent, I understand the angst when one is concern with the health of their child or grandchild. One of my most poignant moments I have witnessed as a physician was when a ninety-some year-old patient of mine expressed concern over her seventy-year-old daughter who I had also taken care of. Her daughter had gone through serious medical issues and eventually was transferred to University of Iowa Hospitals for ultimate resolution of her problems. The mother remarked to me, “My baby was really sick then”. Throughout my life, I have witnessed the angst of uninsured people facing major health problems. From my childhood in Denison to my first practice in Titonka, I have had many experiences but more frequently now in my practice at Ames, as well as throughout the evenings when I volunteer at the Ames Free Medical Clinic. 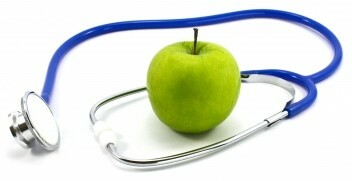 Health insurance helps one’s peace of mind regarding their family’s health. Peter Damiano, a professor at the University of Iowa College of Dentistry and director of the University of Iowa’s Public Policy Center, has extensively researched the effects of HAWK-I. His research has clearly shown that HAWK-I has significantly improved the parents’ peace of mind regarding their children’s ability to receive good health care when needed. I hope that the effects of the Affordable Care Act (ACA) will someday be similarly researched by Dr. Damiano and that he ask and find that the ACA has improved the peace of mind of those Iowans able to access the health system in a new and improved way. It is through this lens of the individual’s peace of mind that I will look at the effect of the ACA’s various parts, be it the marketplaces (exchanges), Medicaid expansion, health care access and outcomes, private insurance options, etc. The emphasis on peace of mind has limitations as many undoubtedly already have thought of while reading this entry. Two countervailing demands that those Principles of Health Reform referenced were the needs to be cost conscious and patient responsibility. While having these elements in mind, I will continue to use peace of mind as a reference point for our future discussions. Unfortunately, the collective peace of mind is not being improved by the chaotic, confusing, and stuttering run up to January 1, 2014 when the ACA’s key provisions begin. Despite this run up, January 1 will come and the new system will unfold. If the insurance marketplaces work, if insurance offerings are available and affordable, if the health care system provides quality and efficient care, if patients become active team members in the effort to improve their health, we will have a better system. I believe we will begin to accomplish the first principle of health reform which the Iowa Academy of Family Physicians developed in 1993–that every Iowan has the peace of mind that his or her family has access to affordable, comprehensive health care.